Margaret Thatcher and Ronald Reagan at Camp David, 1984. Yesterday I took part in an in-class debate on which was the more ‘special’ relationship: Churchill and Roosevelt, Macmillan and Kennedy, or Thatcher and Reagan? I was assigned to the Thatcher-Reagan team. I took it upon myself to write an opening statement, and it follows. Bear in mind I wrote this in approximately 30 minutes (including edits and rewrites). Then you can decide: did I actually say anything at all? Or did I just make it sound like I did? In other words, where’s the beef? Since revolution tore the two asunder, and the White House burned in 1812, the United States and United Kingdom have enjoyed an extraordinary partnership unrivaled by anyone in the world – a “special” relationship. The relationship has waxed and waned over the years, but never was it stronger or more dynamic than the Thatcher-Reagan era of the 1980s. Bound together by mutual respect and admiration, cultural affinity, and a shared commitment to western values, the special relationship between the Gipper and the Iron Lady was forged in history and sealed with blood. Through war and in peace, America and Britain held fast at home and abroad with Reagan and Thatcher at the helm. From the windswept south Atlantic to the skies above Libya, Reagan and Thatcher were partners amidst a sea of troubles. Politically like-minded like to pair before them, they successfully navigated the shoals of the Cold War and brought the Soviet Union to its knees. Together they restored a sense of national pride to their respective countries and returned the special relationship to its lofty pedestal. Personally, politically, diplomatically, and militarily, Reagan and Thatcher were exceptionally close. Maintaining a solid front publicly, they never hesitated to disagree in private, always constructively and without hint of animosity. 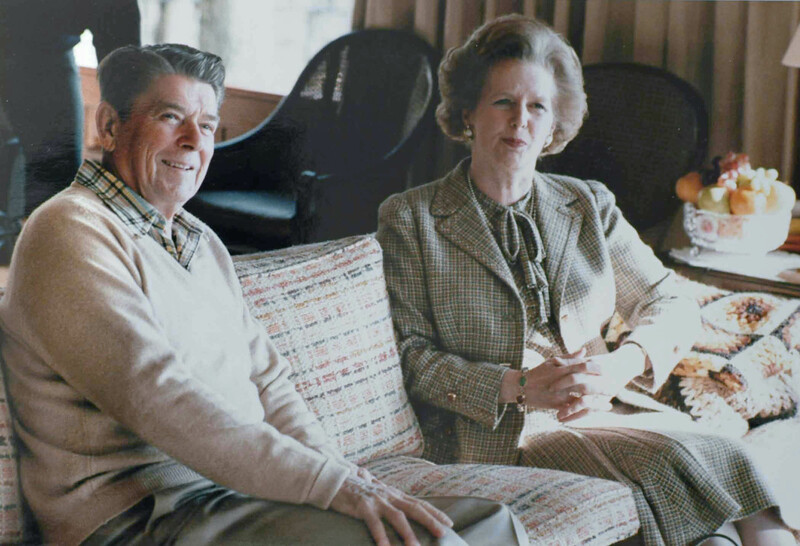 Anglo-American relations, NATO, and indeed the west itself were and continue to be rejuvenated by their remarkable friendship; and nothing less than the whole of humanity has been the beneficiary of Thatcher and Reagan’s truly special relationship. I like the lofty rhetoric I came up with, but methinks the substantive portion leaves something to be desired. And that’s ignoring what I actually think about the merits of the argument.